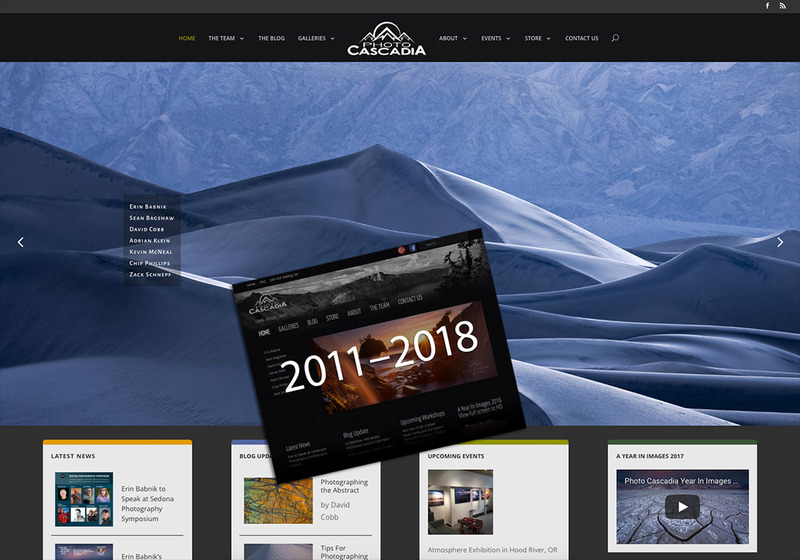 The Photo Cascadia team is thrilled to unveil an all-new website design by DotcomJungle, the first redesign in seven years. Although the old design served us well, we wanted to introduce new features that would improve the reader experience, while also making site maintenance more efficient. The result is a website that should be easier to read, that is more engaging, and that enables us to add a variety of new content on a regular basis. We hope that you enjoy the changes, and we would like to introduce you to a few of them. 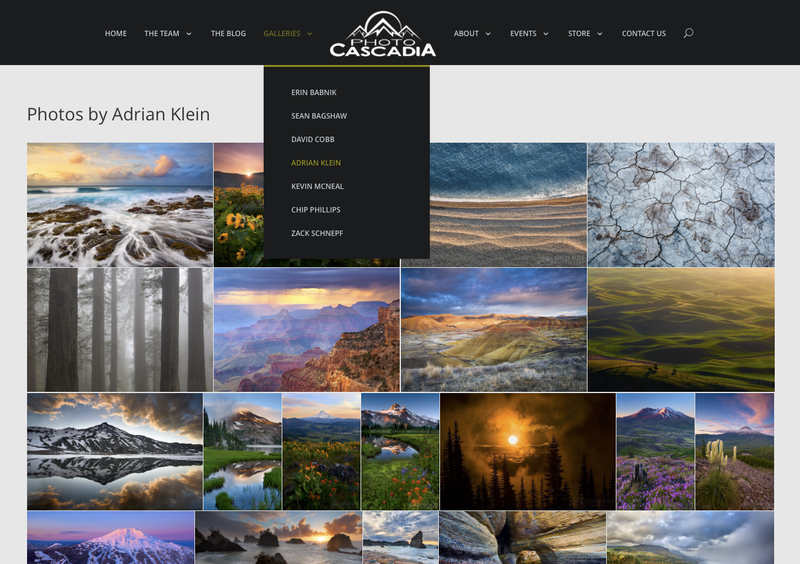 The galleries for all Photo Cascadia team members now display large, high-quality slideshows for a greatly enhanced viewing experience. All events, including workshops, classes, talks, and exhibitions, now have their own menu. You can browse these events as a list, search them by date, or use the site-wide search feature to find events by keyword. You can now sign-up for desktop browser push notifications by clicking on the little red bell in the bottom right corner of the Photo Cascadia homepage. 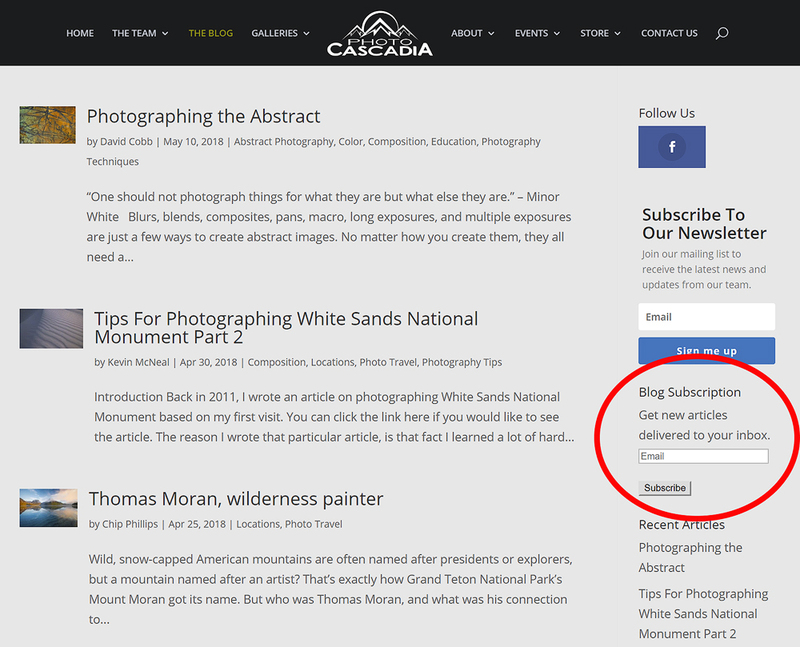 If you are using a desktop browser that supports push notifications, you will see a little notice appear that a new article has been posted to the Photo Cascadia blog the very second that it goes live on the website. You can always unsubscribe from this feature if you change your mind about it later. Subscribe to the blog feed to have new articles emailed to you the day they are published. 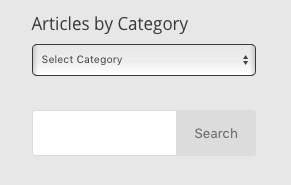 The categories for searching articles are now contained within a drop-down menu in the sidebar of the blog. You can also type in a keyword in the search box below to find exactly what interests you. 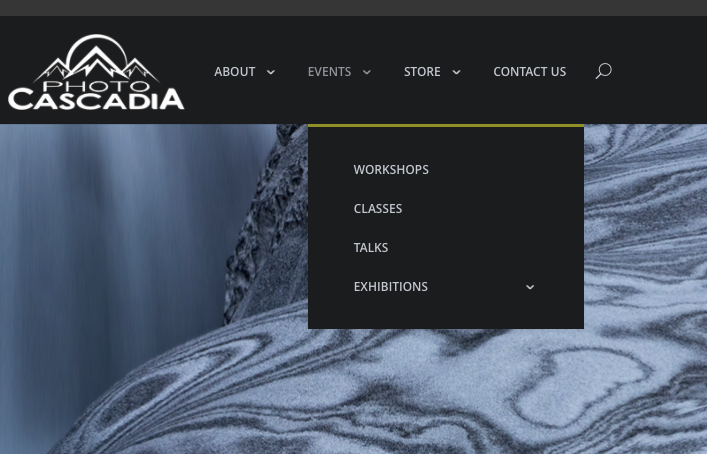 The workshop listings are now easier to read and to search than ever before. Browse what’s coming up, search by date, or type in a keyword to find a workshop that works for you. We hope that you enjoy our new website design! Let us know what you think in the comments below. If you happen to find anything that does not seem to be working, please let us know about that too. 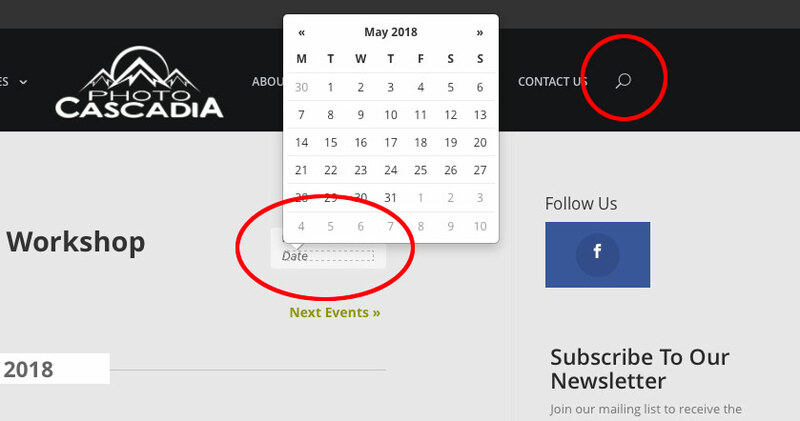 Also be sure to use our new newsletter sign-up options to become a newsletter subscriber if you are not already receiving our bi-monthly editions. We look forward to staying in touch with you!